I know Thanksgiving is just a week away, but how about making a quick wreath that would be great for both Thanksgiving and for Christmas? 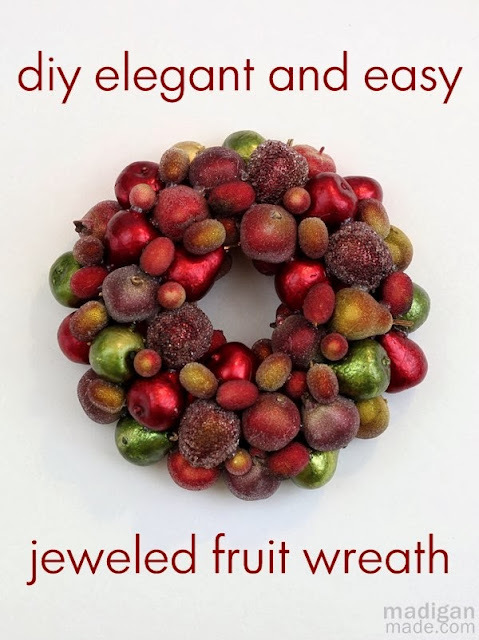 This jeweled fruit wreath is beautiful and will make an easy transition between both holidays. Shannon at Madigan Made created this wreath and she has the easy “how-to” to make this and 2 others that use the same technique but will create different looks. Please check out this easy 3 in one tutorial.